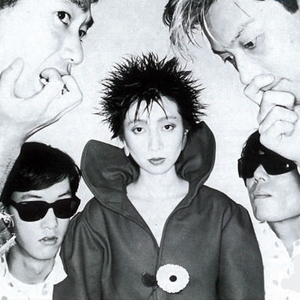 Plastics were a Japanese New Wave band that have been compared to The B-52's or Devo. They released 4 albums including the live effort, All Across The USA 80. They were also a fixture in the fertile underground scene in New York City during the early 80s and appeared on the soundtrack to the movie Downtown '81. After the group has broken up, Front duo Toshi and Chica formed Melon, other members had their own music career and gone on to work with members of other seminal Japanese groups like Yellow Magic Orchestra, Buffalo Daughter, JUDY AND MARY and so on.